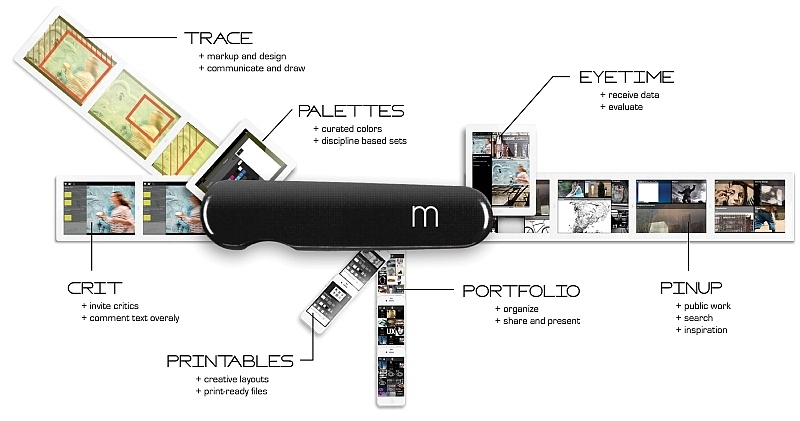 The Morpholio Project today unveiled seven new design tools for the creative world, with the launch of Morpholio 2.0. Originally initiated by a group of five architects and academics, the Morpholio Project opened to the public in December 2011. The new tools include Portfolio Futures, EyeTime, Crit, Trace, Palettes, Pinup and Printables. Click through / scroll down for the details, including a two-and-a-half-minute introductory video. The Morpholio Project on Vimeo. MORPHOLIO LAUNCHES 2.0 - Project imagines a different future for presentation, collaboration, and critique amongst a global community of creatives. New York, NY – April 30, 2013 – The Morpholio Project unveils seven new and forward thinking design tools with the launch of Morpholio 2.0, the App Store’s number one portfolio app. The app re-imagines the portfolio as a design utility, moving it into the fast, flexible, at-your-fingertips device era. The project seeks to advance the ways that creatives access, share, discuss, and get feedback on their work from a global community of users. Morpholio began as a research project by architects who simply wanted amazing tools for their devices. The group wondered, what would happen if the focus of software development shifted away from production alone and towards the need to cultivate and assess ideas. Designers have tools that allow them to generate millions of options, but few that help to select the right ones. “Aside from making design production easier, we wanted to know if better tools could make it smarter by integrating the wisdom of crowds and capitalizing on the power of the touchscreen to capture feedback,” says Anna Kenoff, Morpholio Co-Creator. To achieve this, Morpholio had to become very sophisticated about all the ways that designers communicate - not just through language, but most importantly through their eyes and hands. Over the past year, the team of architects and programmers has collaborated with experts from various disciplines to build a robust design-centric workspace that could be used by anyone - from fashion designers to photographers, architects and automotive designers, even tattoo artists. It builds on research into human-computer-interaction to deliver innovations like a tool for image analytics called "EyeTime" and virtual "Crits" where collaborators can share images, and comment on each other’s work via notes or sketches. Human behavior data-mining is essential to offering these forms of powerful feedback, letting you know how your followers are interacting with your work. “These new tools are absolutely integral to the daily workings of any image driven process and have huge implications for both design and artistic practice," says Co-Creator, Toru Hasegawa. 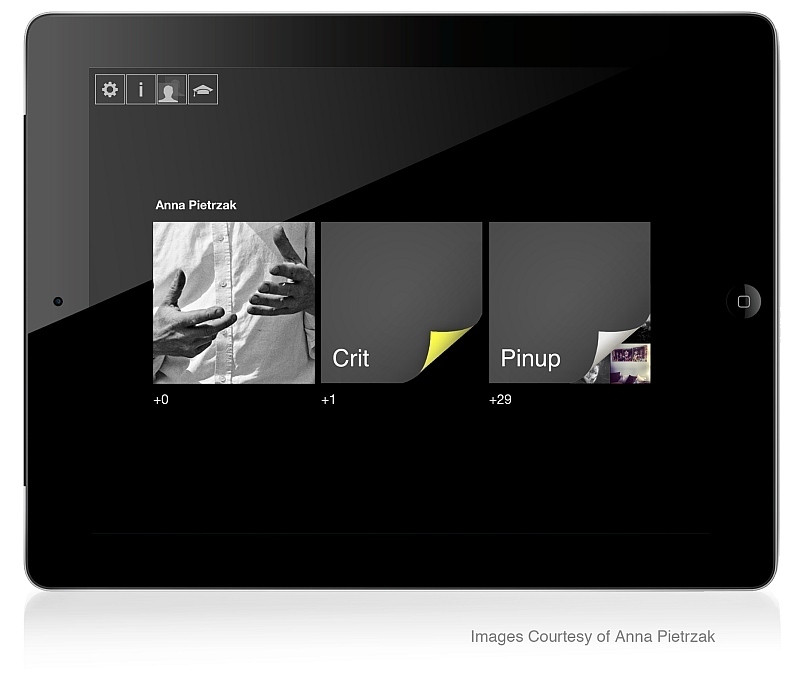 Morpholio’s cloud-based infrastructure is built from the ground up to amplify design thinking. Drawing, commenting, sharing and analysis are built into and on top of the portfolio, creating the first completely integrated platform for designers. "Creatives have a rich interaction with each other as well as their own work, which wasn't being captured by existing software," says Mark Collins, Co-creator. "With these new tools, Morpholio 2.0 becomes a powerful hub that reflects and amplifies the life of the creative - overflowing and abundant with inspiration, ideas and discussion." 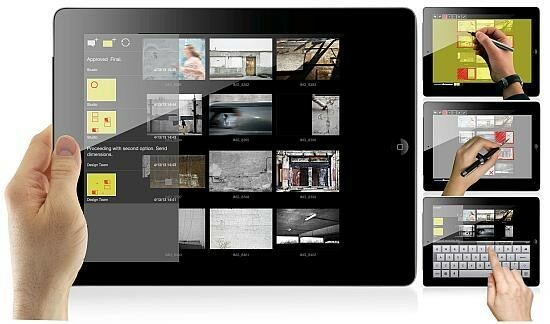 Portfolio Futures: Your Morpholio - The software begins by transforming the user’s portfolio into a constantly versioning and customizable book of images. Capable of communicating with multiple devices, it organizes image collections in a comprehensible and accessible format that makes sharing and presenting work seamless and infinitely flexible. 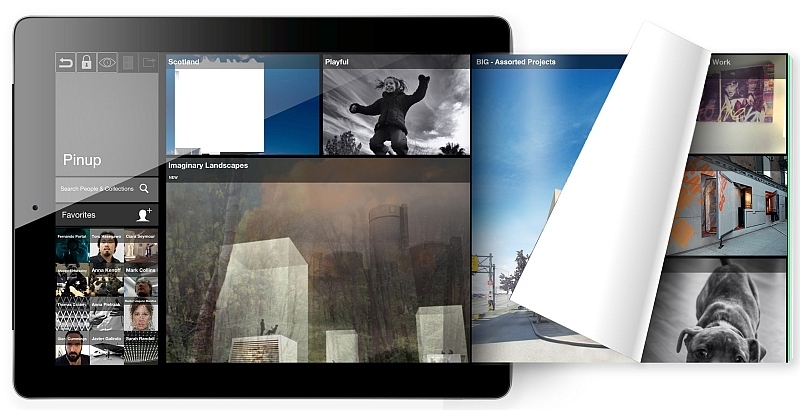 EyeTime - EyeTime analyzes every image you put in Morpholio from the moment you begin. It captures and records the amount and type of viewing time an image receives. Our eyes don't simply gather data, but react and are provoked by what they see. Human Behavior Mapping captures that feedback to let you know not just how many hits an image is getting, but how your followers are interacting with your work. Crit - Morpholio "Crit" is a virtual space that allows you and as many colleagues as you want to gather around images and give various forms of feedback including comments and sketches. Set up a critique for your studio, consultants, office, friends or project team. Trace - Trace, a digital version of tracing paper, allows users to instantly draw on top of imported images, layering comments or ideas to generate immediate, intelligent sketches that are shared as a conversation. Palettes - Morpholio has collaborated with world-renowned graphic designers and representatives from several industries to create beautiful and highly intelligent color palettes for sketching in the Trace feature. Seventeen palettes including categories such as interior design, automotive design, fashion, architecture, and body art bring range, depth and intelligence to sketches, diagrams, and mark-ups. Pinup - Pinup is a virtual gallery, curated by both the public and our curatorial team. Pinup your work for feedback and allow others to follow you. Printables - Printables elevates the Morpholio platform by offering the opportunity to export print ready files. A variety of layout and formatting options allow you to drive the design or receive direction that is based on the feedback your work is getting. 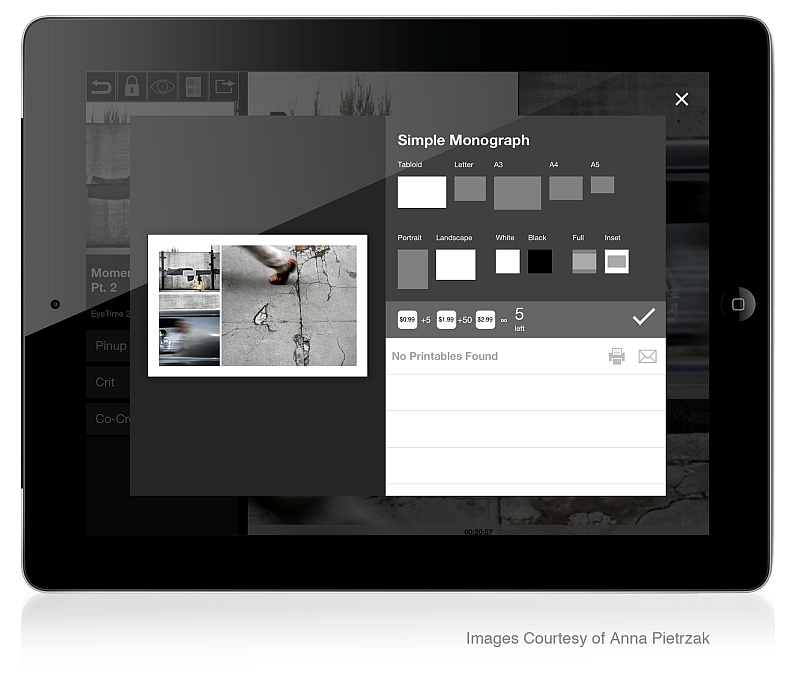 Create a project portfolio, notebook, lookbook, album, or any layout in seconds. Morpholio believes that design tools should dis-inhibit through freedom and flexibility and that smart software should be accessible to everyone. By crafting apps that reinvent creative processes in the cloud era, we hope to enable designers, artists and any imaginative culture. In 2013, Morpholio and Trace were named “Best Apps” by USA Today, ABC News, Metropolis Magazine, Resource Magazine, ArchDaily and many others. Morpholio 2.0 is now available for download in Apple’s App Store and accessible via MyMorpholio.com.